The report, “Flying Under the Radar: Wildlife Trafficking in the Air Transport Sector,” produced by C4ADS as part of the USAID Reducing Opportunities for Unlawful Transport of Endangered Species (ROUTES) Partnership, analyzes airport seizures of ivory, rhino horn, birds and reptiles from January 2009 to August 2016. Collectively, these four categories account for about 66 percent of all trafficked wildlife, according to the United Nations Office on Drugs and Crime (UNODC), and serve as indicators for wider trends within illicit wildlife trafficking. 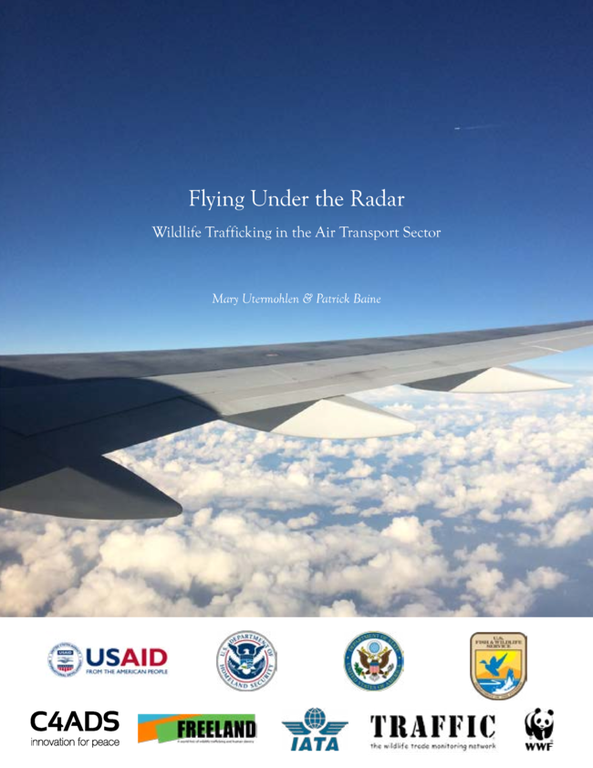 The seizure data indicates that wildlife traffickers moving ivory, rhino horn, reptiles and birds by air tend to rely on large hub airports all over the world. According to the report, the country with the most reports of wildlife trafficking in the air transport sector was China—largely due to its role in the ivory trade—followed by Thailand and the United Arab Emirates. The United States ranked tenth by number of air seizures. Overall, 114 countries had at least one instance of wildlife trafficking in the air transport sector during the period covered by the report. “Airlines are rarely informed if there has been a wildlife seizure from a passenger or cargo shipment carried by their aircraft. Data like this can demonstrate not only high risk routes, species and concealment methods but also the truly global nature of this exploitation.” says Jon Godson, Assistant Director of Environment at IATA.